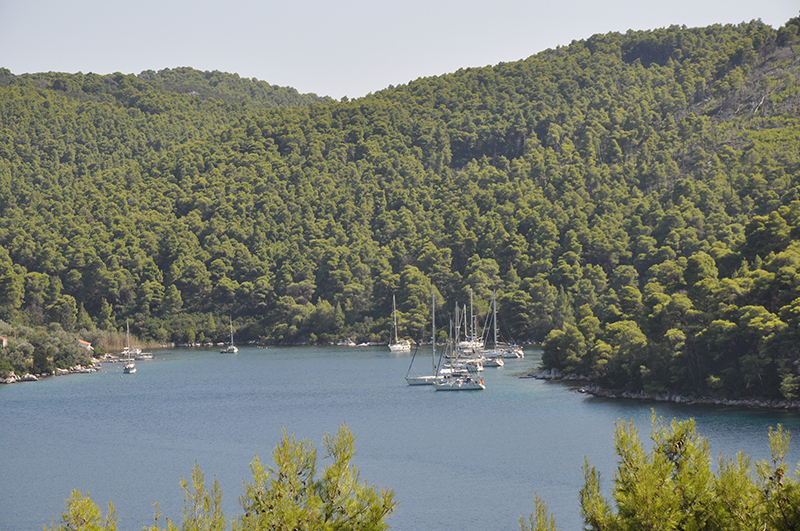 When you sail to the Northern Sporades islands and the National Marine Park you discover an area of unique character, rich in historical and cultural significance. 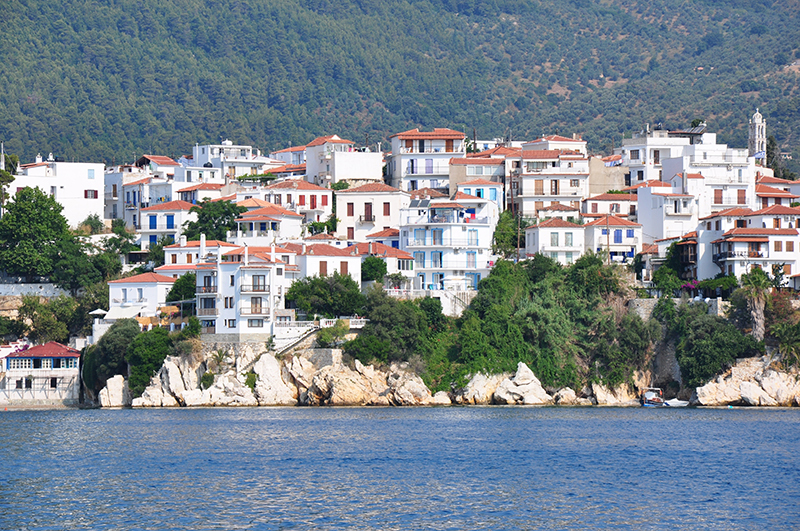 The Northern Sporades islands are located in the north-west of the Aegean Sea. 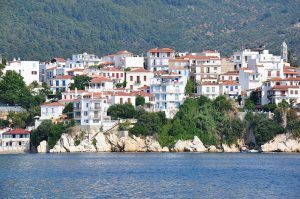 This complex is a sailor’s paradise of numerous islands, countless bays and harbours, sheltered anchorages and idyllic beaches. In ancient times the area was an important sea passage connecting the North with the South. Then in later centuries the islands were used as a base by Barbarossa’s pirates. 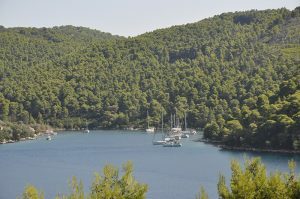 Nowadays, these same turquoise waters give shelter to many endangered sea creatures at our unique Greek National Marine Park. 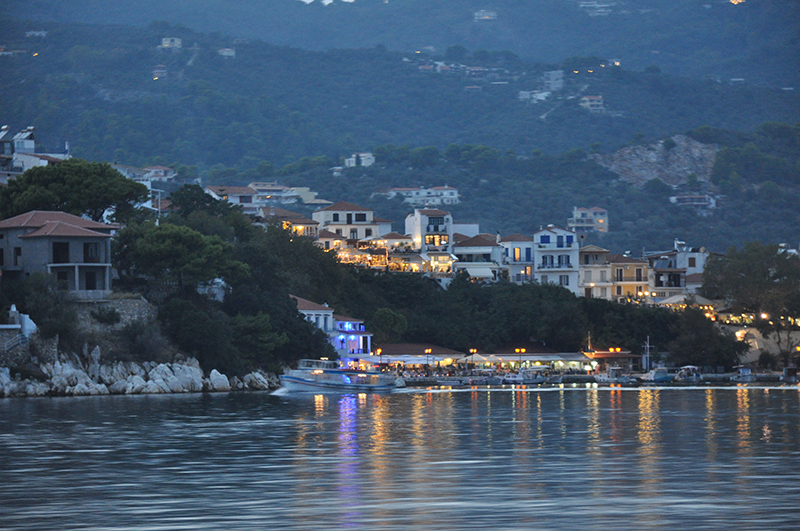 Skiathos is the main island and the busiest. 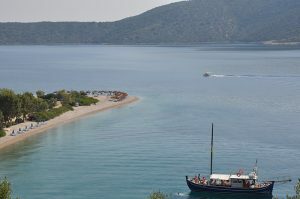 Let yourselves go in the embrace of the sea, find and choose between golden sanded or white pebbled beaches, some of them large enough to enjoy all kinds of sea sports; others, small enough to harbour you, your friends and your dinghy. Visit the old monasteries, churches, castle ruins and journey back in time through thousands of years of civilisation and culture. 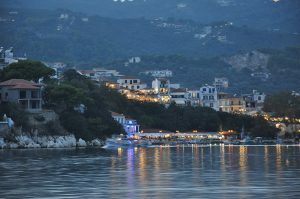 Skiathos is also ideal for night life, offering you a vast choice of restaurants, bars, pubs and cafes that are scattered in a labyrinth of narrow streets in the picturesque old town centre. 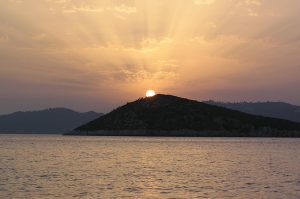 The second island and the most verdant in the Aegean sea. Discover beaches where the pine woods reach into crystal clear waters and offer you their shade. 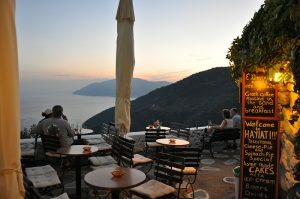 The north side of the island, with its breathtaking rugged coasts contrasts sharply with the idyllic anchorages of the south, where you will witness majestic sunsets. 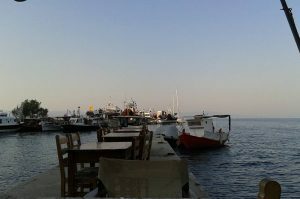 Panormos, Elios, Stafylos…. 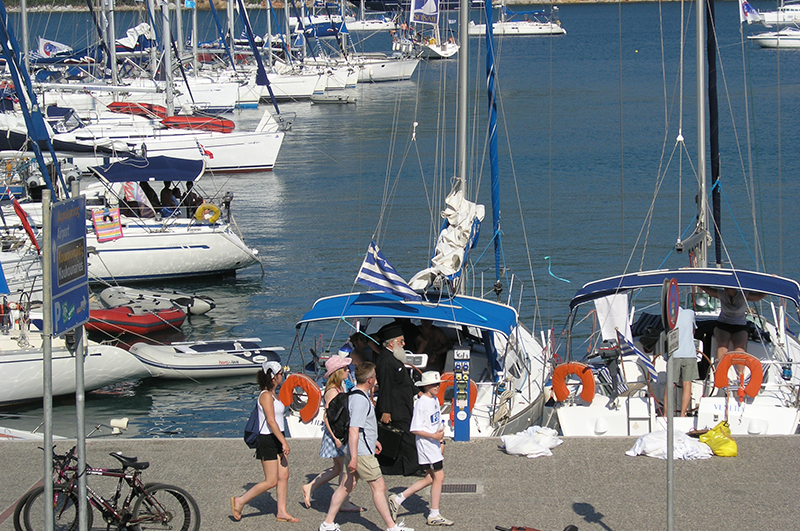 are some of the sheltered bays that will ensure your safety when Aeolos, the Greek god of winds ‘opens his flask’. 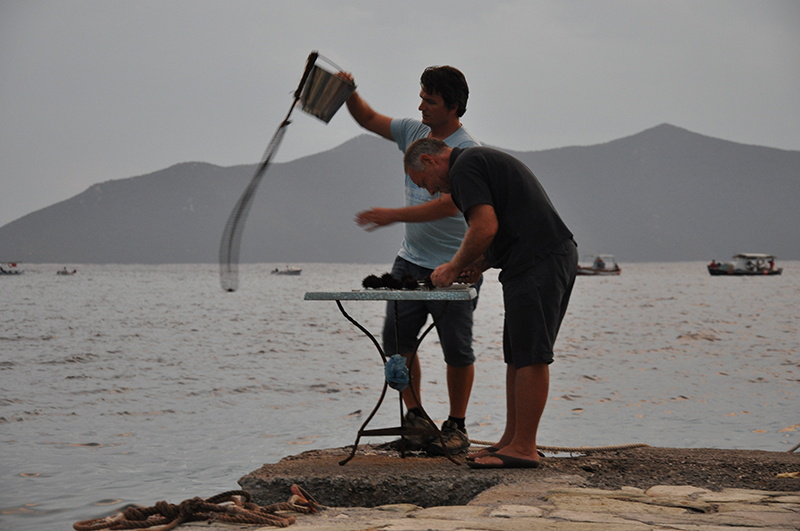 Will captivate you the moment you drop anchor. 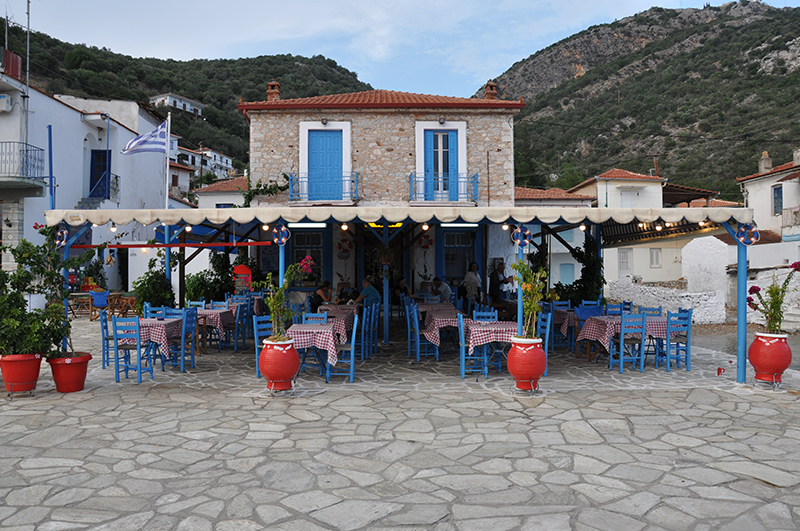 Well known for its wine, the hospitality of the islanders and its cuisine, it is an ideal place for gastronomists. There is everything to satisfy the most refined palette. 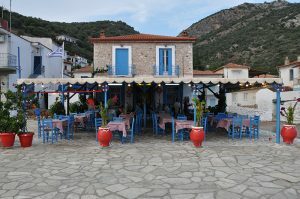 Genuine flavours of fresh fish, traditional casseroles, goat’s cheese, homemade pies, local fruit and vegetables. Then set sail and visit the National Marine Park. Enjoy the enchanting underwater world, dive and snorkel in the caves where the gentle seal Monachus-Monachus lives. 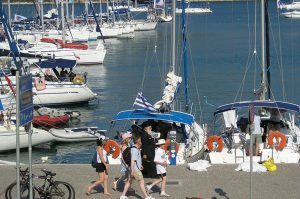 Snorkelling equipment and fishing gear are provided on each yacht and there is a dinghy with an outboard motor. Their use is allowed with the permission of the skipper. 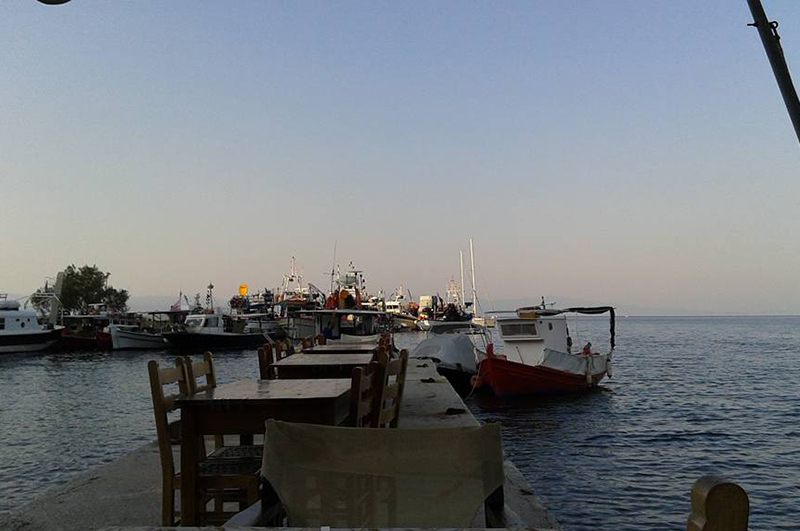 In the afternoon relax and watch the sun play, colouring the sea and turning it from turquoise to all shades of blue.